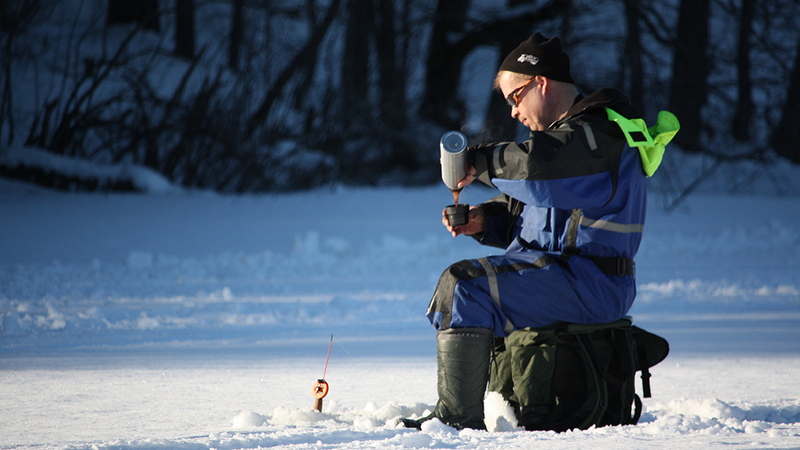 In winter, ice fishing is the easiest and most advantageous form of fishing in Lake Finland. No permission is required for ice fishing, and everyone can and know how to do it. Ice fishing is possible in all our cottage locations. Make Ice fishing easier and more interesting by using an echo sounder. 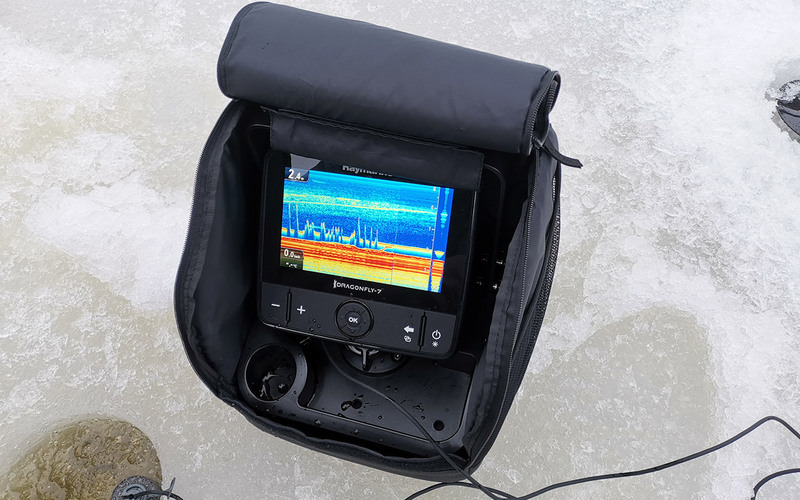 Raymarine Dragonfly5 Pro echo sounder shows the fishes and their movements underneath the ice. Rental ice fishing set includes a sledge, drill, small stool, ice sludge scoop and ice-fishing equipment for 6 persons, as well as one jar of baits. In order to get the best fishing experience, it is also recommended to book guided ismete fishing. In addition to the ice fishing equipment, you will also have ismete fishing equipments, 6 pcs, for 2 days. When you book the guidance, your guide will show how to use both ice fishing and ismete fishing equipment. Campfire coffee and sausages are also part of this experience. Read more about guided ismete fishing. 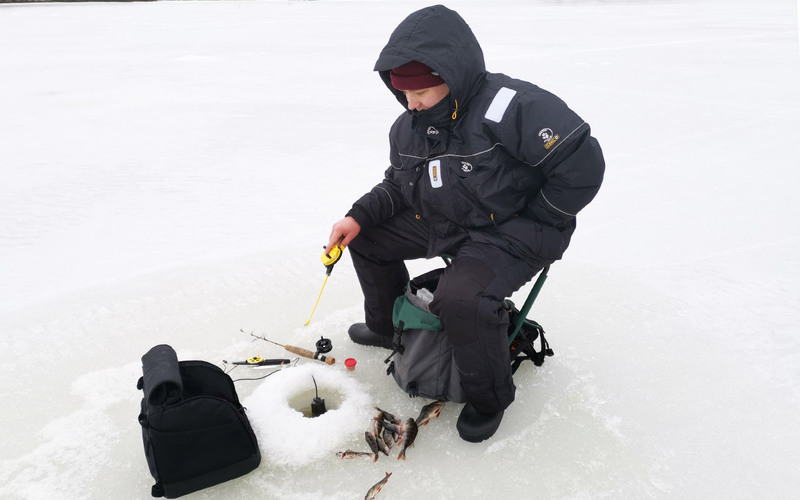 You can also retrieve and return the ice fishing to Rock and Lake rental office which is located at Taipaleentie 60, 51460 Luusniemi. Starting place: Rock and Lake cottage. Price: 110 € / 2 days. More questions: call +358 50 566 0905 or send email sales@rockandlake.com. Request a customized or one week renting period offer together with cottage booking. Book also a guidance for ice fishing.